The 2017-18 academic year is in the books, closing my 15th year of teaching. Summers are the best thing about being an educator. Notice I didn’t write “summers off are the best thing about being an educator?” Whoever thinks teachers get summers off obviously hasn’t been a teacher. My summer workload consists of a lot of work for College Media Association, of which I am vice president. 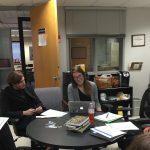 I’ll also revise the publication manual for the student media staff I advise, prep classes for next semester, teach internationally, and write research. But those things will happen mostly on my schedule, which also will be filled with lots of travel and fun. 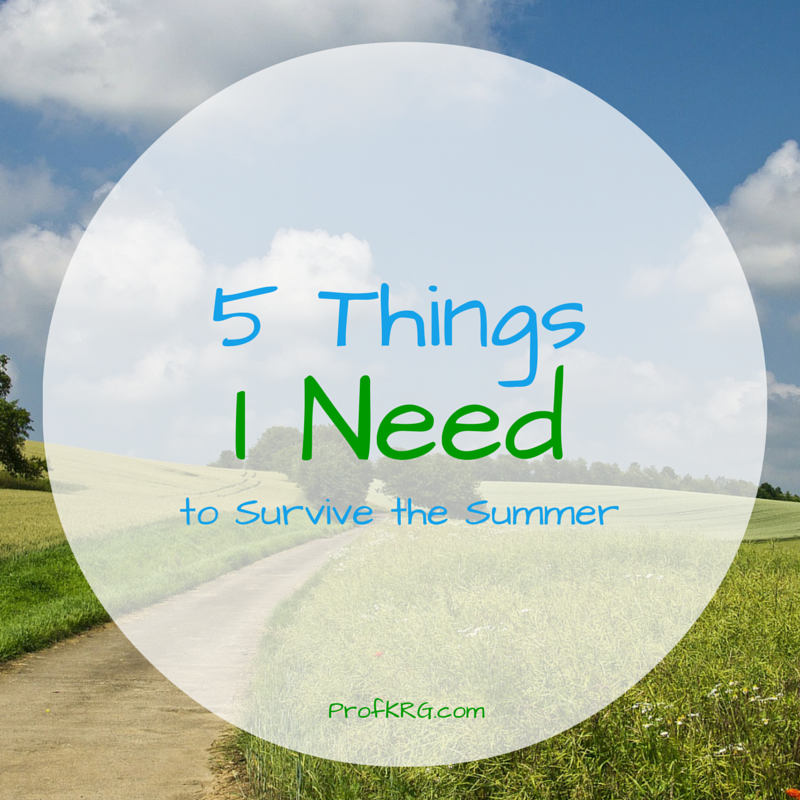 In this blog’s annual tradition, here are 5 Things I’ll Need to Survive the Summer. Did I mention that I’m going to be traveling a ton this summer? It’s my daughter’s last summer playing AAU basketball. Basketball tournaments already have taken us to Missouri and Texas. We’ll travel to Georgia and Louisiana before summer ends. Add to that a trip to Italy later this week, a teaching trip to Singapore in July and academic conference travel to D.C. in August, and you can see that planes, trains and automobiles are going to get a workout during my summer. The great thing about Audible is that I can listen to books while I’m traveling, while I’m cleaning my house or while I’m just sitting and playing Candy Crush. 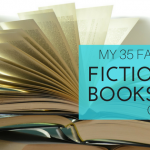 Several of the books I “read” each month actually are audiobooks I listen to. I listen to some of them on my library’s app, but Audible is my favorite. I have a two-book-a-month subscription. I didn’t really mean to turn this part of the post into an ad for Audible, but, if you want to try it, use this link: Try Audible and Get Two Free Audiobooks . I think you’ll love it! My iPhone is an appendage. It makes the list every summer. I spend time on social media, reading books and blogs, or just managing my life on it. With everyone involved in so many summer activities, I won’t be without my phone anywhere. My calendar is a must access. And, of course, lots of pictures will be taken. No shocker there, right? I love to read. It’s my favorite hobby. Want to know what books I recommend? Check out my bookstore! I use iCal for everything scheduled and a spiral-bound journal for my to do lists and notes. I realized about a week after classes ended that I just felt really stressed. I was working a lot each day, but I didn’t really feel like I was getting anything done. That’s when I realized that I wasn’t using my notebook to plan my daily “to do” lists like I usually do. I sat down for about 15 minutes, planned my week and stopped feeling stressed almost immediately. I vowed to stick to my normal planning routine all summer, except when I’m in Italy. Everyone needs a vacation. I love our patio. I sit there in the mornings with a cup of coffee and a book and in the evenings with a glass of wine and friends. Maybe it’s just the country girl in me, but I love the peaceful outdoors. I’m hoping to spend most of the time I’m home this summer on my patio. It’s my happy place. This is the short list of things I’ll need to survive the summer. Your turn! What will you need to survive the summer?